Climate change is the biggest challenge of the 21st century. 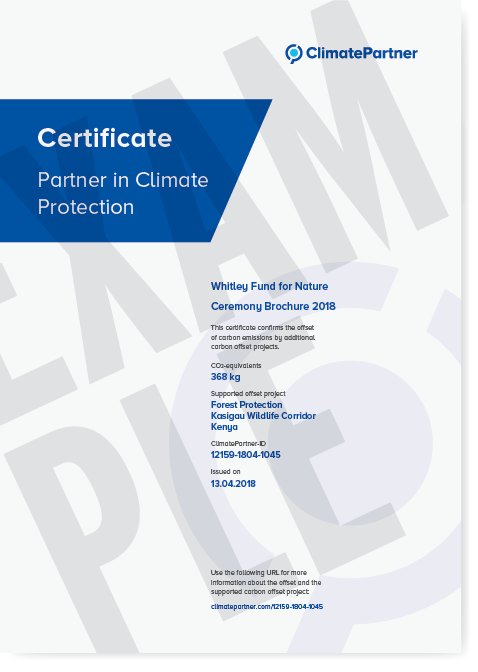 The use of climate neutral print products offers organisations and individuals the opportunity to become active in climate protection quickly and easily. 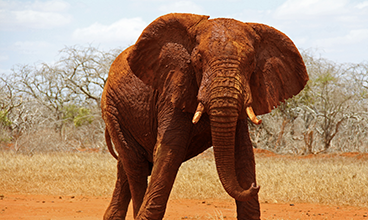 Elephant offers climate neutral printing in cooperation with the climate protection consultancy ClimatePartner. You will automatically be supplied with Climate Neutral certification. How does climate neutral printing work? With help from ClimatePartner we calculate the CO2 emissions of the specific printed product for customers. 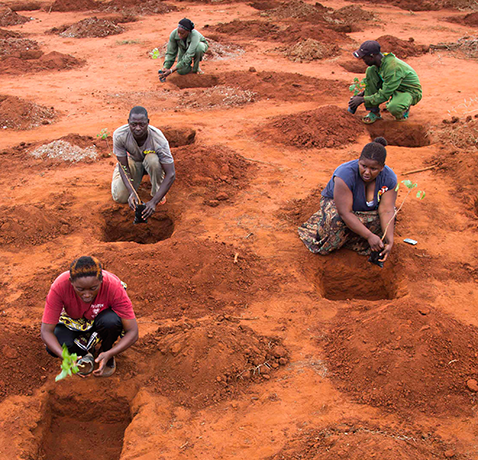 The CO2 emissions are offset by supporting a recognised carbon offset project that reduces CO2 emissions effectively, our chosen project is Kasigau Wildlife Korridor, Kenya. On completion of the job we will issue a certificate for the contribution along with an individual ID number for communication and monitoring. We make the contribution to climate protection on your behalf - we are your partner. According to a survey of the Food and Agriculture Organization of the United Nations (FAO), tropical rain forests absorb approximately 18% of global carbon emissions. Nonetheless, woodland areas are continuously dwindling as is the case on the African continent with more than 4m hectares of forest land having been deforested annually between 2000 and 2005. Therefore, also in Kenya, vast forest areas are cleared by slash-and-burn for the reclamation of soil, although it only is fertile for a very limited time, while the lumber is used as construction timber and firewood. In order to counteract the devastating effects of this deforestation, the Kasigau REDD-project restores about 170,000 hectares of dry forest and savannah through the protection of existing forest stand as well as through afforestation. The project area serves as an important wildlife corridor which is home to numerous bird species and endangered animals such as zebras, cheetahs, lions and - depending on the season - to more than 500 African elephants. The project is situated in Southwest Kenya and contains a joint protection zone between Tsavo East and West National Park, a wildlife corridor and territories of more than 13 different indigenous peoples.